“Podiatry was also previously known as Chiropody and both names are still used today. “Podiatry is the degree equivalent, Podiatric Medicine of the Lower Limb and it takes three years at University to study to become a Podiatrist. So, at Kirkby Podiatry there is a lot more on offer than just routine Chiropody treatment. I can assess, diagnose and treat a wide variety of conditions affecting the foot and lower limb, advising on self-care to prevent problems re-occurring and when necessary will refer to GP. “I graduated from The University of Salford in 2009 gaining a BSc (Hons ) Podiatry. 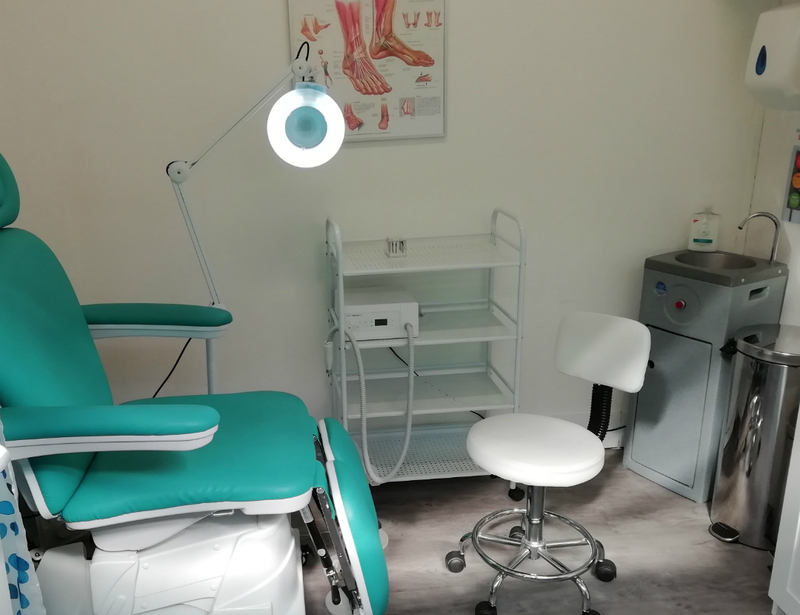 I have since worked in the NHS where I have gained extensive experience working within all aspects of Podiatry including nail surgery and high risk diabetic foot care as well as all routine Podiatry / Chiropody treatments. 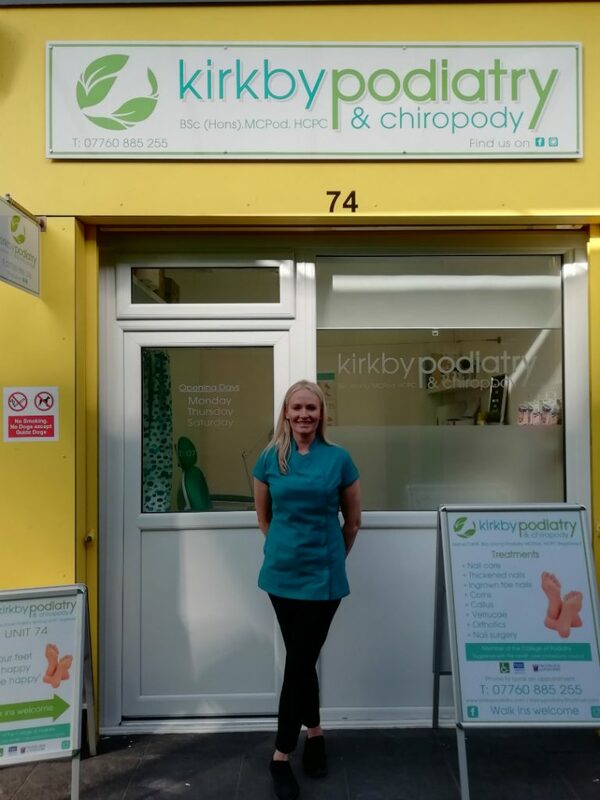 “I opened Kirkby Podiatry in May 2018 and have not looked back since. Location was important to me and I couldn’t be in a better setting, in a busy, pedestrian town centre. 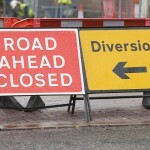 I wanted to bring something to Kirkby that was missing and deliver a high quality service to people. 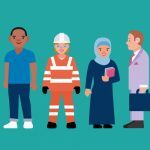 Which of your services should people look out for?